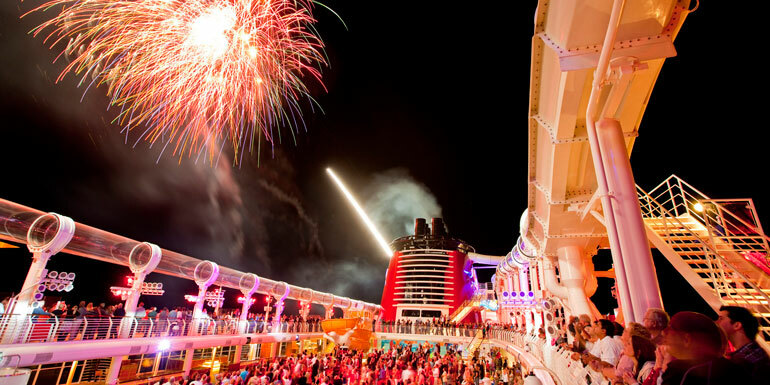 Since you have at least a couple hours before you can get into your cabin and prepare for the sail away party, you may as well be as productive as possible before you get too weighed down by food and alcohol. If you want to dine in one of the ship's specialty restaurants or enjoy a spa treatment during your cruise, it’s best to make your arrangements as soon as you embark to make sure you don’t miss out. 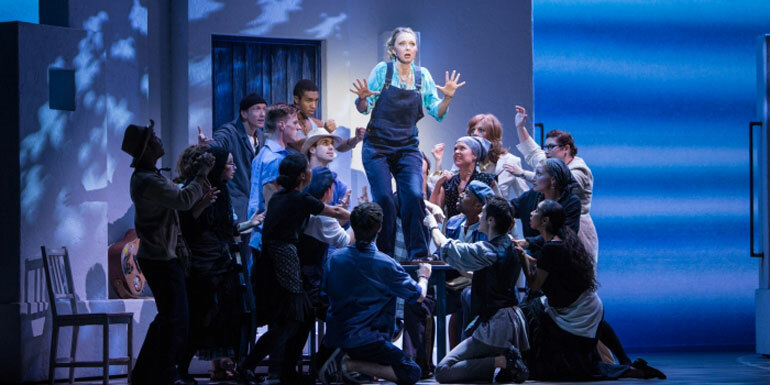 If you’re sailing on one of the new, mega-ships, you might also need to make reservations for some of the shows and entertainment on the ship. Tip: On some lines you can actually make reservations in advance, so if there’s a show you really want to see, book it before you board! This is especially true for people flying in from colder destinations. If you followed our tips for things to do before you board, you’ll have a change of clothes and a bathing suit ready in your carry on. 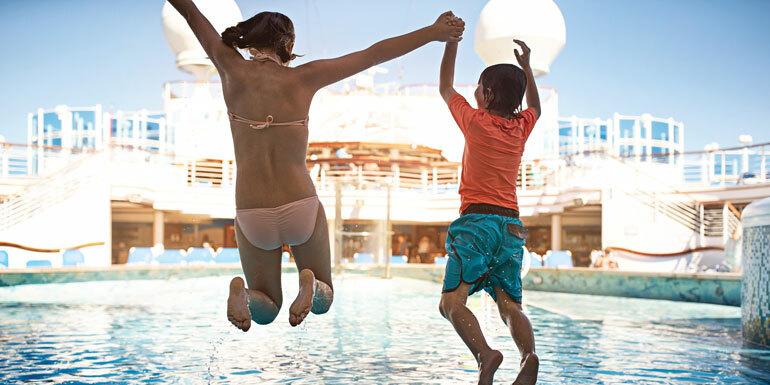 If you boarded early, you might even have the rare opportunity of enjoying a nearly empty swimming pool. 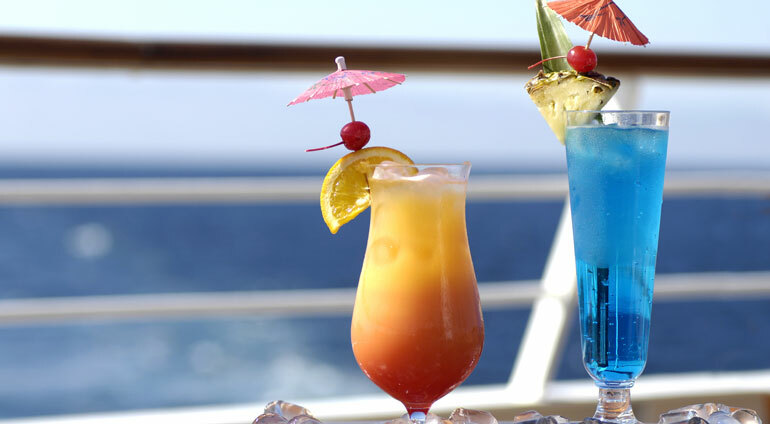 It's a popular tradition to enjoy your first drink as soon as you embark, and the cruise lines help out by placing servers carrying trays of tropical drinks garnished with umbrellas by the pool and on the open decks. Once you have your drink in hand, it’s time to start exploring. The ship will be your home for the next week, so it pays to get a feel for it right from the beginning. Makes notes of restaurants and activities you want to try, and don’t forget to look for quiet areas tucked away from the main drags you can escape to when you need a quiet moment. Tip: Some ships even offer a complimentary orientation tour on embarkation day, which is an excellent opportunity to both get a lay of the land and ask crew members any questions you might have about the ship. 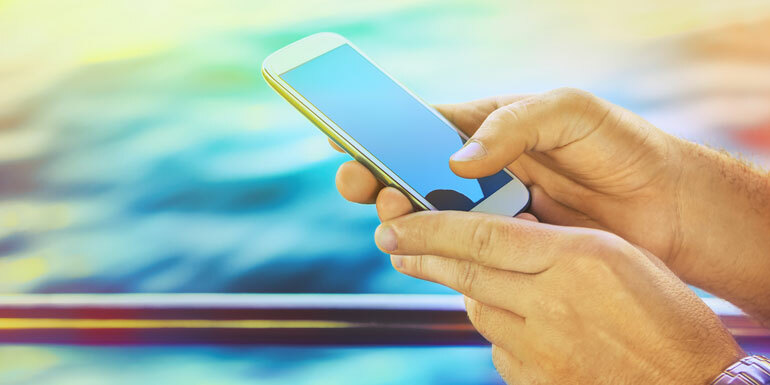 Once you’ve posted a few pictures from your ship tour on social media, added your cabin photos to our Ship Mate app and sent out a few final texts, put your phone onto airplane mode before you forget. Even a few days of roaming chargers can make your cell phone bill start to look more like your mortgage payment. You're going to be eating non-stop for the next 3, 4 or 7 days, so you might as well get started. 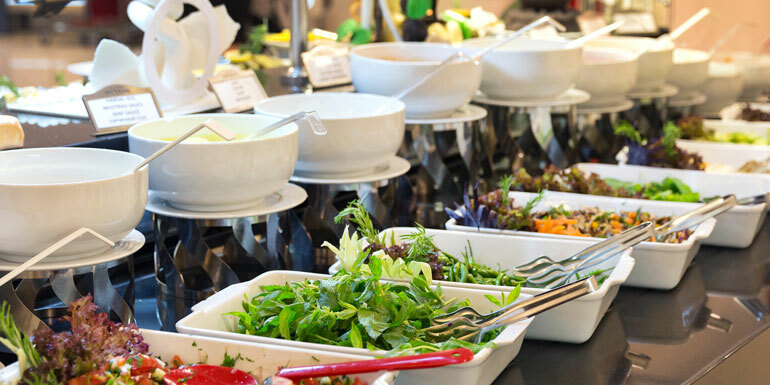 Lunch will be waiting in the buffet, so grab a plate, load up and begin your cruise with a full stomach. Once your belly is full and you’ve gotten a feel for the ship, there’s a good chance that your cabin will be ready. Before you start unpacking and settling in, inspect your cabin to make sure everything is clean, and that the lights, outlets, and TV are in good working order. The sooner you can report an issue, the sooner you can get the staff to come and fix it. Yes, the muster drill can be boring (especially for experienced cruisers), but it’s important and mandatory. 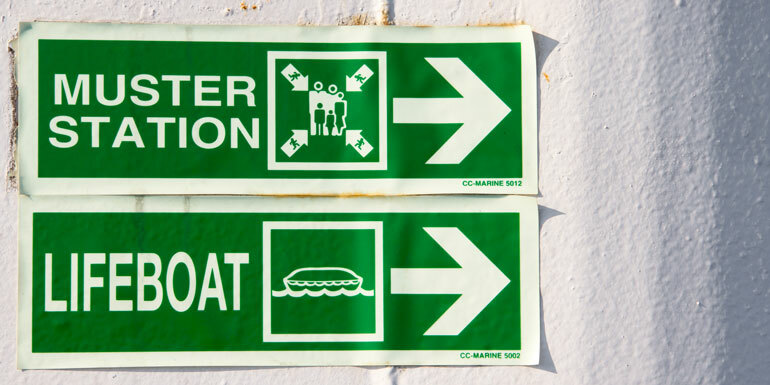 Also, check the map on the back of your cabin door for the evacuation routes, so you know where to go in case of emergency. Where you go for sail away depends on what you want to do. 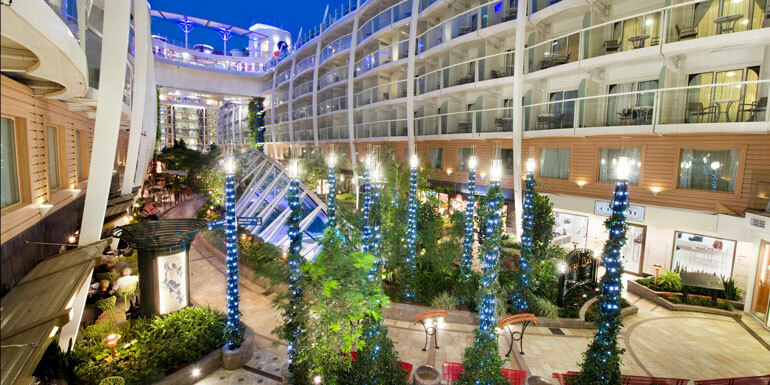 If you’re looking to party, head to the pool deck for a entertainment and festivities. If you want to watch the shore disappear into the distance as you cruise out to sea, find a prime railing on the top deck. Want a little of both? 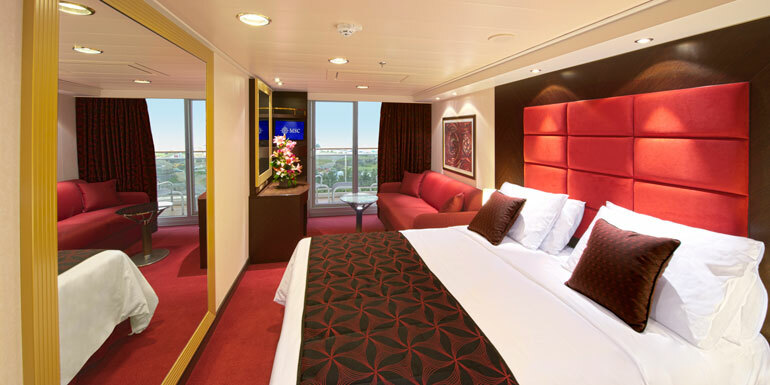 Try the sun deck that’s just above the pool on most ships. You can watch the festivities below and still keep an eye on the ocean. What's one thing you never forget to do after you board? Two things not mentioned is to confirm the dining request you have as indicated on your "sail & sign" card. If it is not the time you requested, then is the time to go to the dining room and talk to the Maitre'd to see if it can be changed. The second thing I do (and this is an option), is to go to the Customer Service desk and put some cash on my cabin account. I usually deposit at least enough to cover the service gratuities. Doing this gives you full reign of your spending and leaves any OBC's for you to use without any (or many) last minute surprises. if you order a drink before setting sail in Florida, you pay tax on it, just sayin'. You can't change your dining once it has been assigned because they sail at full capacity and all dining assignments have been assigned, which is why you should pick your dining time when you book (the closer to sail date you book, the less choice you have). You also should have taken care of your onboard expense account when you checked in. The lesson is that you should avoid mass market cruise lines if you can and go on one of the all inclusive ships where you don’t have to worry about drinks packages, dining times and queueing. Instead of doing one cruise a year on a cheap ship, do one cruise every two years on an expensive ship. You can also find your assigned table in the MDR and check it out.